Millennia of volcanic and glacial forces acting on the West Coast have shaped a mountainous and rugged landscape. These forces have uplifted, eroded and carved a string of nearly interconnected mountain ranges that together form an elevated backbone known as the Pacific Crest. Lying between 100 and 150 miles inland the Pacific Crest is oriented north to south, connecting the serrated ridgelines of the North Cascades with the active volcanoes of Washington, Oregon and Northern California. South of Lassen, the granite of the High Sierra rises for another 250 miles stretching southward to southern California. The mountains comprising the Pacific Crest form the first real impediment to winter storms steam rolling off the Pacific, catching and causing them to unload their moisture as snow. Amidst this high elevation terrain is a maritime-snowpack-filled playground ripe for backcountry ski/snowboard exploration with a season that regularly runs deep into spring. 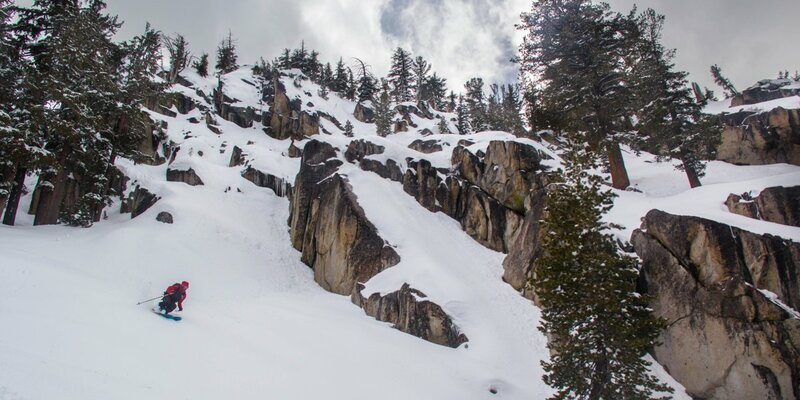 While recent drought years have seen snow lines creep to higher elevations, this winter has brought a return of a healthy snowpack making for prime conditions in many areas. Dropping into the North Cascades. Photo by Benjamin Krause. 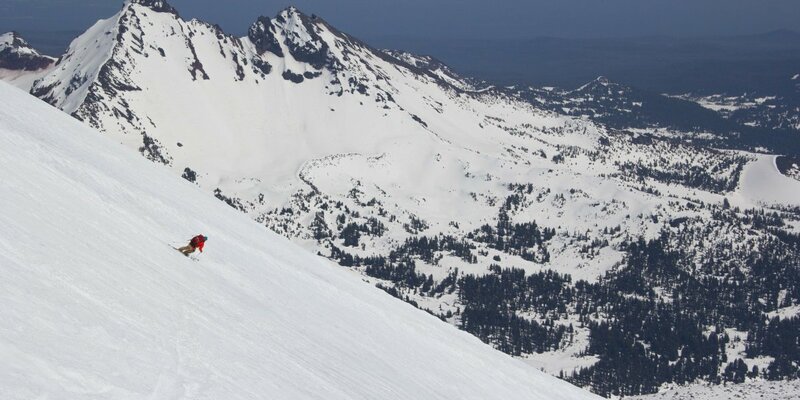 Spring skiing in the Central Oregon Cascades. Photo by Aron Bosworth. Exploring Lassen Volcanic National Park. Photo by Aron Bosworth. Finding wintery goods in the Tahoe backcountry. Photo by Reed Youngbar. 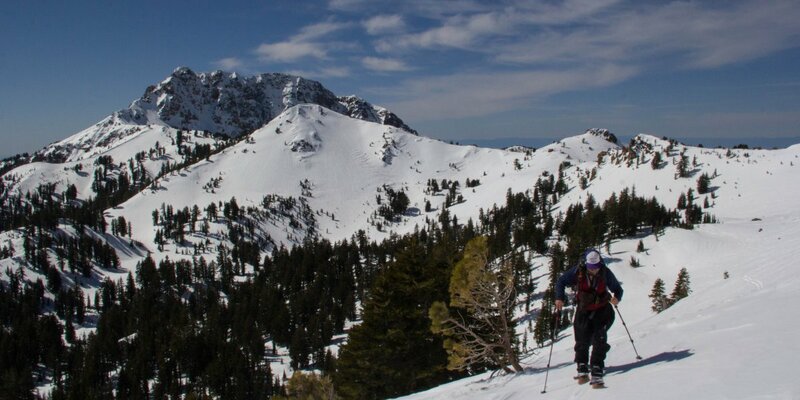 For more backcountry recommendations see our posts on backcountry skiing in Washington, Oregon, and California. 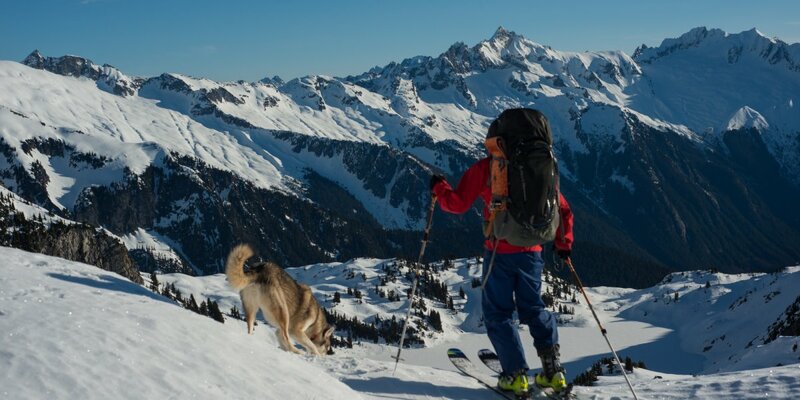 While winter backcountry adventures can be a fun and intriguing way to explore the wilderness, they can also quickly become dangerous outdoor activities that pose significant and life-threatening risks as conditions affecting safety (i.e. weather, snowpack stability, avalanche hazard) are constantly changing. Prior to engaging in these activities, each individual should get the proper training to make safe decisions (including knowing when not to go), and be prepared/equipped for backcountry navigation and to employ avalanche training and tools. Expert backcountry guides are also available to help you get oriented and travel safely. There is an etiquette to backcountry travel that helps keep you and others safe. Please visit our Backcountry Skiing and Avalanche Safety post to learn more. Experience, knowledge and informed and safe decision making are the means to a long-lasting and healthy relationship with the winter backcountry.